Coworkers, acquaintances and former lovers know Rourke Kilpatrick as a dashing district attorney who doesn…t let emotions get in his way. If he breaks a heart or bends the law to prosecute a criminal, he does so without apology. That’s why he is the first person twenty-four-year-old Rebecca Cullen calls for advice when the younger brother she’s been forced to raise by herself gets arrested on trumped-up drug charges. To her surprise, Rourke returns her call, and displays a sympathy that seems totally at odds with his reputation. One night, their lips finally meet, and all Rebecca wants is to feel Rourke’s arms around her—forever. But is she the one woman to break through Rourke’s protective barriers, or is the man she’s falling in love with just using her to investigate a crime? Does Rebecca dare trust someone who has the power to destroy her family…and break her heart? 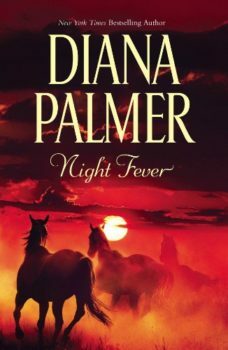 Originally published March 1990 by Popular Library w/a Susan Kyle & December 2005 HQN hardcover w/a Diana Palmer.